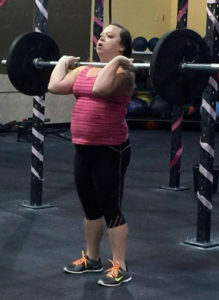 Daisy’s latest extraordinary woman, Darla, talks about how CrossFit training helped her overcome her fears after a serious car accident in her teens and go on to becoming a CrossFit coach herself. Darla is a CrossFit level 1 trainer who has a love for people and helping them change their lives for the better. She is a southerner to the core – born and raised in Alabama – and is married to her favourite human on the planet, Dan. They have two boys – Judah and Journey. Darla is a self-employed graphic designer, photographer and all-round creative professional with a passion for health and fitness. 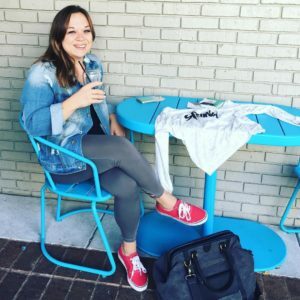 She has recently been building her personal brand to reach out and inspire others to be healthier, to build healthier families and break the perfect off of all of us. She has launched a line of gym/athletic leisure wear and all the pieces have empowering meanings behind the designs. 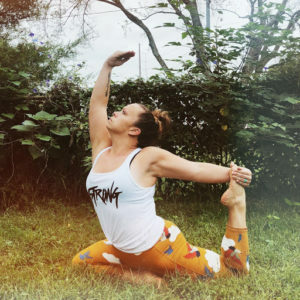 She is also planning her first reset retreat where she will spend 7 hours with a small group of women teaching them how to go hard after their goals, eat healthier and be stronger – strong body, strong mind, strong spirit. Invest a day in yourself. Sweat. Breathe. Fuel. Learn. Be. Strong Body. Strong Mind. Strong Spirit. This will be a 7 hour day of inspiration, motivation, learning, sweating, healthy food, and breaking unhealthy mindsets! Darla has been a ketogenic cross fitter for over a year and she loves how she feels being fat fuelled. As a crossfit trainer, she loves helping her athletes push through their physical and mental barriers at the gym and she believes that the things we accomplish in the gym translates into many other areas of our lives. This was another great episode (of course)! Thank you @Daisy and Darla! Super awesome!!! Great job Darla! Yes she is! Love hearing all these success stories of keto, of self discovery, people helping others! It’s inspiring!